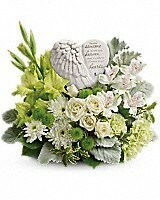 A heartfelt expression of your sympathy, this majestic mix of white roses will rejuvenate the spirit. 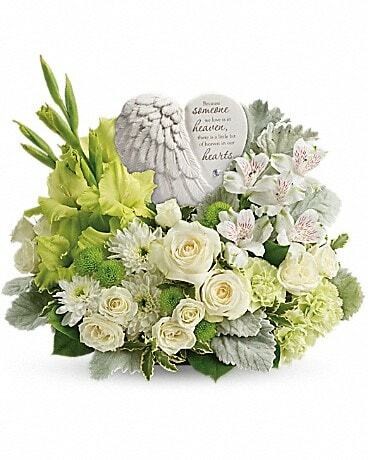 Nestled among the blooms is a graceful angel's wing keepsake, etched with an encouraging message they'll cherish forever. 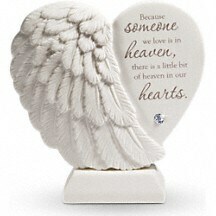 This tabletop design is appropriate at a memorial service, funeral or the family's home. 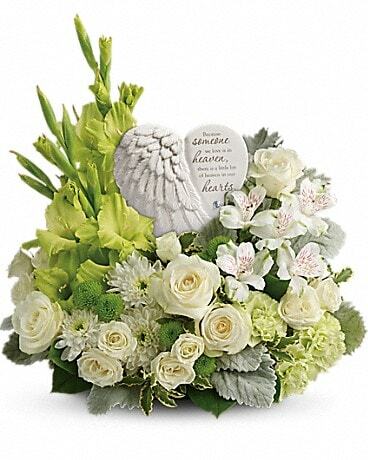 Flower selection may vary slightly.